Hey everyone! It’s been a while! Sorry for being so MIA, I looked back through all my posts in 2018 and I only did N I N E posts for a whole year, I feel so guilty, so one of my New Years Resolutions is to blog more. Life just gets in the way sometimes. But right now I am back with My Top Beauty Favorites of 2018. First of all can you believe 2018 is over?! It went fast, but 2019 is going to be great, and I’m excited for what’s in store. Anyways enough rambling, if you want to see what I loved all last year then keep reading. This is probably going to be a long post, so you may want to grab a snack and get comfy :) And sorry for the wrinkled sheet, unprofesh looking background, but there is seriously a lot of stuff here so that’s just what I had to do. I’m going to do this by category… here we go! Morphe Dare to Create Palette: I got this palette after loving the Jaclyn Hill Palette by Morphe so much. There are tons of colors and neutrals in this palette (sorry I didn’t get a pic of the whole thing, click the link to see a full pic). I will be honest, at first I didn’t care for this palette, the quality of the shadows wasn’t as good as I had hoped. But then I found MY color, the one above where I have hit pan. It is a beautiful fuchsia/hot pink color and it makes my green eyes pop. I know it sounds silly to love a whole palette for one color, but this eyeshadow makes me feel some type of way. There are some other great shadows in the palette tho, so I think it definitely a good purchase. Real Techniques Flat Brush: This brush is amazing at packing color on the lid with intensity and not a lot of fall out. I use this every single day. Morphe Continuous Setting Mist: Oh man, I thought I had found the setting spray for me, until I tried this one. It has literally blown every setting spray out of the water for me. What sets it apart is the “continuous” spray and coverage it gives. It is an aerosol so it comes out as a fine mist and every inch of your face is completely covered. Plus it makes my makeup look flawless and it is long lasting. Must have right here! Tatcha The Silk Canvas: I have actually already done a full review on this primer so I will leave that here so you can get even more details. But I have really enjoyed using this. It does make your face look like a smooth canvas and smells amazing too! Lancome Teint Idole Ultra 24Hr Foundation: This foundation has been my go to foundation for a while now. Every time I try a new foundation I always go right back to this one. It covers great, feels great on the skin, and is long wearing. Idk about the 24 hour claim (who wears foundation for 24 hours?!). But you should totally check this out if you are looking for a new foundation. Stila Glitter & Glow Liquid Eyeshadow in Diamond Dust: Every single one of the these liquid eye shadows by Stila stunning, I want them ALL. If you want to take your eyeshadow game to the next level just pop one of these on and you are golden. They are so beautiful. I get the most compliments when I wear these. What impresses me the most about these is how long they last on the lid, they don’t get lost in your crease, they stay put all day. Obsessed. Anastasia Blush Trio in Peachy Love: I used this blush a TON last year. I mix all of the colors together, and it’s just the perfect peachy every day blush for me, especially because most of my eyeshadow looks are orangey/bronzy/goldy/coppery, it just works. L’Oreal Paradise Mascara: I heard a lot of buzz about this mascara before I finally tried it. It’s amazing! 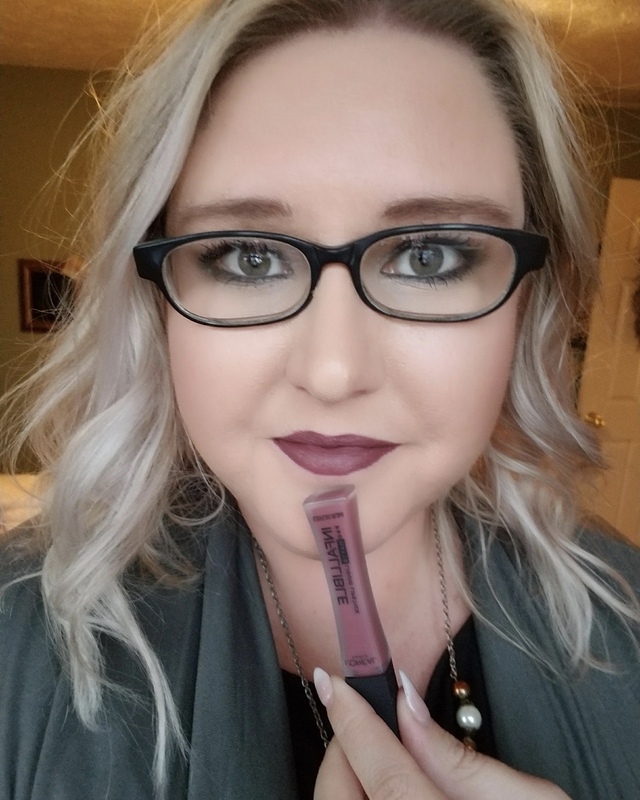 It lengthens, volumizes and just looks great. It definitely compares to a lot of high end mascara I’ve tried. Hello again, if you have made it this far. Maybe I should have just done my makeup faves haha… oh well I’m gonna keep going. Youth to the People Kale + Green Tea Spinach Vitamins Cleanser: I have talked about this cleanser before >> here, but I am still so into this! It is the perfect cleanser for any skin type, it doesn’t dry me out, it’s not too hydrating, it’s just perfect. It is made with ingredients that you can find in your pantry at home. This is my everyday cleanser, and probably will be for a very long time! Summer Fridays Jet Lag Mask: This mask right here is the reason I wanted to do this post. Ever since I bought this mask I have been completely obsessed with it. First of all the name is just too cute, and it makes me think if my skin is feeling tired I should use this. It is a mask that you can leave on for 15 minutes or overnight. I use this almost every Friday night (Summer Fridays, inspired my schedule), and I leave it on until I wash my face the next morning. It makes my face so soft, supple, glowing and it just looks healthy. This mask won’t leave you greasy through the night, but it absorbs right into my skin. 100% Recommended. Laneige Lip Sleeping Mask: I use this lip mask every night (I’m pretty proud of myself for that)! It’s so moisturizing. My lips are so stinkin soft when I wake up in the morning, that I literally cannot skip one night of this goodness. Expensive Hi-Shine Topcoat by IGK Hair: If you want shiny hair that boosts your hair color, this girl is for you! That is exactly what she does, adds shine just like a topcoat on a manicure. When your hair is shiny and healthy it emphasizes the color of your hair. This makes my blonde hair look so fresh. I use this about once every week or two. Side note, it smells divine. Morocannoil Treatment: I use this treatment after I curl my hair and I brush it out with my fingers or a brush, sometimes that leaves my hair looks dry on the ends, so I get a pea sized amount of this in my fingers and run it through the bottom part of my hair. It makes it look back to life, hydrated and healthy. I actually use this much more than I thought I would. Sol de Janerio Brazilian Bum Bum Cream: This may be TMI, but I never use this on my bum… this is an amazing body cream for any area of the body. It absorbs into the skin exactly like I like. I hate a body cream/lotion that is greasy and takes forever to sink into the skin. This sinks in so fast, and keeps me moisturized throughout the day. AND it smells absolutely AMAZING, I can’t even describe it, but just take my word for it, it does not disappoint. Tory Burch Absolu Perfume: Absolutely amazing perfume. I have a lot of perfumes and this is one I reach for the most. I get a lot of compliments on this fragrance as well. Definitely smell it next time you see it, every perfume works different on everybody. Here are the notes if you like that sorta thing…Black Currant, Lily of the Valley, Pink Pepper, Rose, Tuberose, Jasmine Sambac, Cedarwood, Sandalwood, Vanilla, Vetiver. Guys, we are finally at the end… this actually ended up being way longer than I thought, so if you made it all the way to the end here you are the real winners fr fr. But seriously, thank you so much for joining me today while I tell you about my faves from 2018, I hope I discover some awesome products this year too! What were your standout beauty products in 2018? Tell me below!